The story of Penelope – as told by herself. In The Odyssey, Penelope – daughter of King Icarius of Sparta, and the cousin of the beautiful Helen of Troy – is portrayed as the quintessential faithful wife. Atwood’s dazzling retelling of the old myth is as haunting as it is wise and compassionate, as disturbing as it is entertaining. With incomparable wit and verve, she gives the story of Penelope new life and reality. Homer’s Odyssey is not the only version of the story. Mythic material was originally oral, and also local-a myth would be told one way in one place and quite differently in another. I have drawn on material other than The Odyssey, especially for the details of Penelope’s parentage, her early life and marriage, and the scandalous rumours circulating about her. Things I liked about the book– After you have read the long summary I am sure you will have really high expectations from this book . I know I did.. To some extent I liked the book , but not for the subject ( will come to that part later) , for it’s beautiful and creative narrative. Atwood can weave a story just by her wonderful prose and I realized that when I was compelled to complete this book whose subject line I had lost all interest in by the time I was half way through. But I went on just because of her style. You must be thinking how can I praise the writing and hate the subject ? Read this book and you will get what m trying hard to convey here. Just because you are making Penelope tell her story doesn’t necessarily have to make this a thing sensational news piece and if you would have wanted to write feministic stuff then you should have tried messing with some other literature. Too preachy , too judgmental and some times , no most of the times ultra feministic. In some other context I would have totally liked a feministic subject. But I don’t like messing with classics. Period. 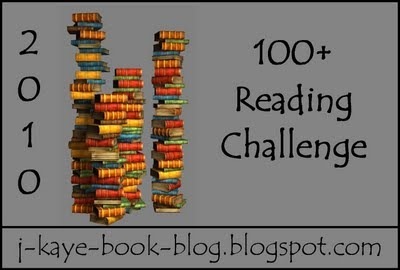 I finished nearly 200 books this year , so I guess with so many challenges and my own craze for reading I might finish 200 or more in 2010. There are 4 levels and I have opted for Moderate. Moderate: Choose six authors and read at least one title from each author. I have forgotten all about Middle Earth, this readalong will definitely help me get familiar with the realm I loved so much after the first read. How could I resist this challenge. I love reading Nancy Drew and what better way to show my affection for this series then to participate in this wonderful challenge hosted by Deborah. 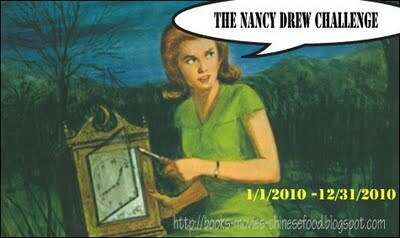 To read Books 1-56 in the Nancy Drew series that have the yellow spines in 2010.